What Happens in Library Class? Books are checked out on a weekly basis. 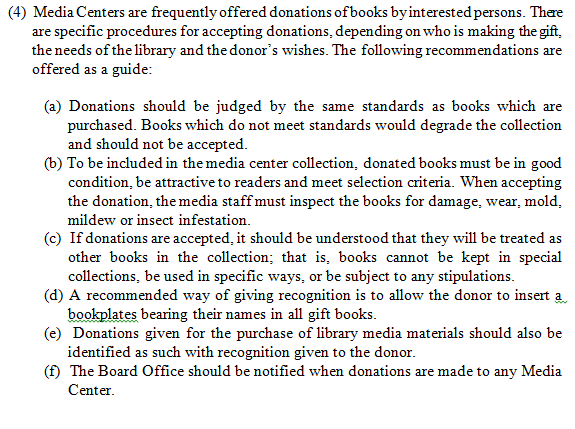 If a book is lost or damaged, you will need to pay for the book before checking out another book. Please see Ms. Spencer for information about the lost book. All payments must be paid directly to the office. The library is open every school day Monday -Friday 8:10am-3:40pm. Looking for Ms. Spencer? If not in the library, she might be out solving a problem! Students will drop books into the drop box as they enter the library. Time has been allotted at the end of each class for students to check out books every week. Students who have not returned their books for the week may look at books from the display shelves or the coffee tables during check out time. Books are to be returned when the class lines up to leave. Students are always welcome to use Destiny to locate a book. If you are struggling to find the right book, ask a friend, then ask me. Kindergarten - 2nd grade may check out one book at a time. 3rd-5th grade may check out two books at a time. Books may be returned during library class or with permission from your teacher during breakfast, at recess or after school. If I am not in the library, put books to return in the drop box. DO NOT PUT THEM ON THE SHELVES. Teachers are asked throughout the year for suggestions of books that need to be added to the collection. 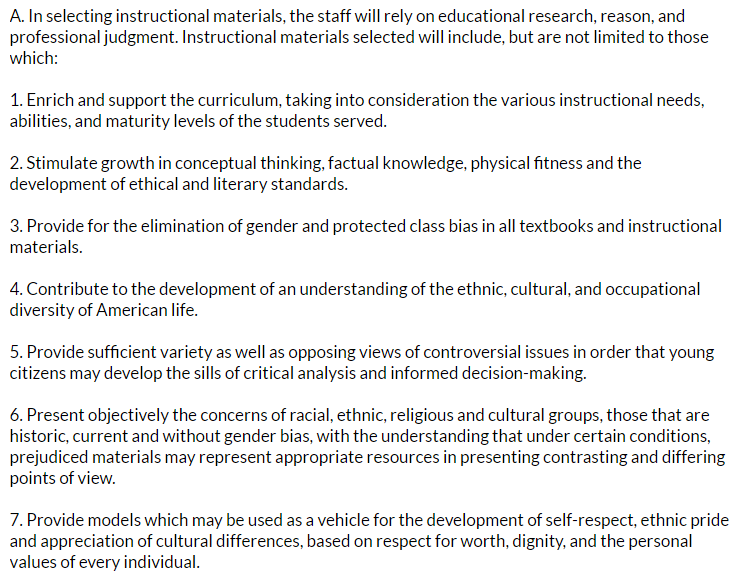 A running list of titles and topics that students request is kept and consulted as funds become available. 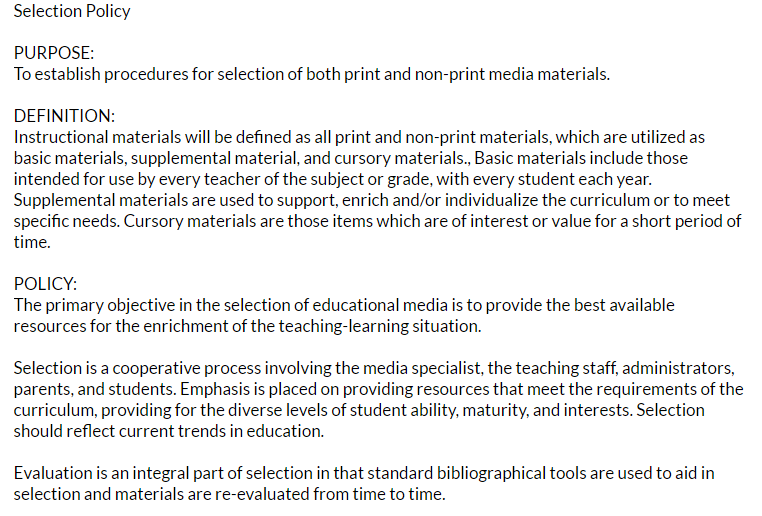 As new curriculum is introduced, supervisors and administration are consulted to see what resources are being provided through other sources and which need to be provided through the collection. 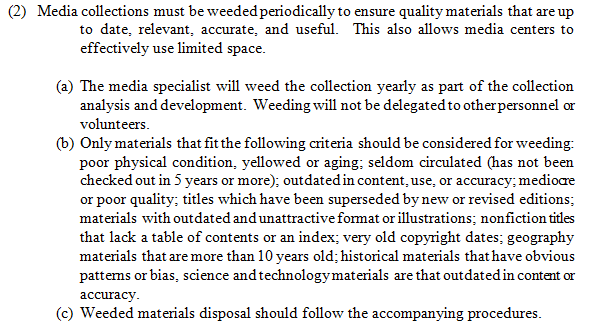 Materials are selected based on three positive reviews from reputable sources, a what has been weeded due to condition or dated materials and what gaps were determined during a collection analysis. WES Library is typically given $10 per student for the annual budget. The majority of this budget is spent on books. We are looking into adding databases in the near future as well. Less than 1% was devoted to magazines and Playaways in 2016, on a trial basis. In 2016, the average book costs about $20. Vendor selection is left to the discretion of each school. WES typically uses Titlewave/Follett for most purchases. A list is created within Titlewave and forwarded to the front office via email. The request is then processed and sent to the Board of Education. All orders using annual budget funds must be processed through Somerset County Board of Education. All orders purchased through Titlewave arrive reading to be shelved after a download of records is completed by the librarian. All library purchases made using annual fundraising monies are requested by completing a shopping cart request online or using a purchase order for offline purchases. These are processed through the front office. Incidental purchases under $100 may be refunded through the front office. All purchases from Titlewave and Scholastic will be processed by the vendors for a fee. Additional purchases will be processed by the school librarian. MARC records will be pulled using the suggestions provided by Destiny/Follett. The privacy of students and staff is very important in the library. All patrons are free to chose any reading materials they want. Please know that circulation records are not kept on patrons and information will not be shared with others. The only time your information would be shared is if we feel you are in danger. Always remember to use your own words when writing or reporting information. It is important that we are respectful to each other and not copy someone else's work . Not sure if it is okay to make copies of that book? How about showing that movie? Click here to find out! "The Freedom to Read Statement." Advocacy, Legislation & Issues. ALA, 26 July 2006. Web. 25 July 2016. 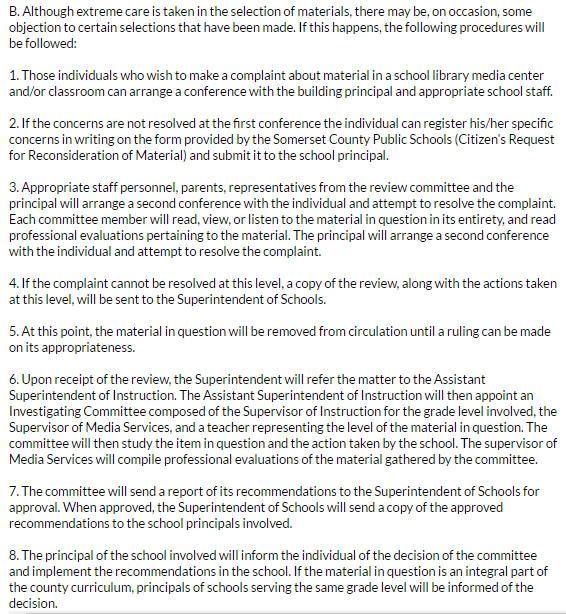 All SCPS Media policies are taken directly from the Somerset County Public Schools website.